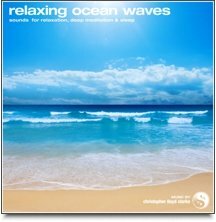 Carefully recorded and mastered, these high quality mp3 downloads have a natural soundscape that’s so alive, fresh and crystal clear that you will feel like you’re actually there, especially when listening with headphones. Nature sounds are innately soothing to your body and mind. As a relaxation tool they are incredibly effective and are often used for stress relief, to enhance meditation, to encourage deep relaxation and deep sleep. Even playing quietly in the background nature sounds have a way to positively effect any space and anyone in it. These natural white noise sounds are great for general relaxation, for helping you to sleep, or as a peaceful aid to meditation. 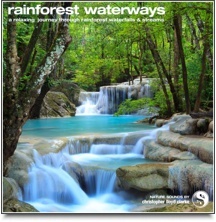 Note: contains only nature sounds (no music). Also available with either theta or delta frequency binaural beats. Nothing but the soothing sound of a gentle breeze rustling through nearby trees and grasses. 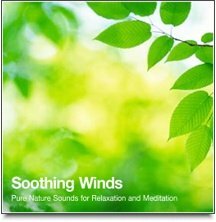 If you find typical white noise recordings a bit overwhelming, then you will find that Soothing Winds will give you a much softer, more gentle listening experience that is wonderful for enhancing meditation or encouraging deep sleep. Also available with either theta or delta frequency binaural beats.